Digital marketing arena is highly dynamic and the more you delay, the more time you'll have to spend in catching up. Home > Blog > Blog > Digital marketing arena is highly dynamic and the more you delay, the more time you’ll have to spend in catching up. Digital marketing arena is highly dynamic and the more you delay, the more time you’ll have to spend in catching up. 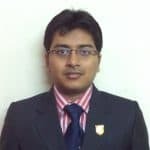 He shares with us how digital marketing helped him in adding additional skillset in his profile. Q1. Hi Kushal, you have done MBA in marketing from MPSTME, Mumbai and did digital marketing training from DSIM. So what compelled you to undergo a digital marketing training? Ans. In my course curriculum in MBA, we have to do an internship in marketing projects. I did an internship on 2-3 projects in my vacations earlier. Since my final placement was about to start that time, I was just trying to explore some option for an internship in digital marketing. Digital marketing is very booming industry and I want to explore the digital space. That time I heard about DSIM, so instead going for internship projects, I joined advanced digital marketing course from DSIM. Q2. Wonderful Kushal! As you are working as a business executive in ETP group. So, are you satisfied with your career status? Ans. To be honest, I am a very ambitious guy. While I was in college last year, I want to do my project in digital marketing so I got a job in this booming industry. Still, I am waiting for good opportunities to come in digital marketing space. Q3. All the very best Kushal. What do you think is the scope of digital marketing? Ans. Digital marketing is a fast evolving domain with almost daily changes happening across various platforms. I think as the digital marketing industry is always evolving it is a good idea to spend time in learning these skills. Digital Marketing has opened up the opportunity in the Marketing sphere. This arena is highly dynamic and the more you delay, the more time you’ll have to spend in catching up. Q4. Nicely explained! How was your overall training experience and how would you rate the trainers @ DSIM? Ans. I love it, the class is very simple, the trainers give us enough time for each module to finish and do our homework and they explained all of the information in a great way. I’ve been in online batch; the online system they use is amazing. It is a wonderful ride and definitely feels worth it. I like to give 9 out of 10 for DSIM trainers. Each trainer is highly professional and has superb knowledge in their domain. They are always ready to help students and are passionate about teaching. Q5. So, before we finish it up, do you have any message for the mass? Ans. There’s no substitute for experience to build proficiency in digital marketing. Learn everything practically. Remember its fine to make mistakes in this learning process. That’s the only way you can learn Digital Marketing. Make sure if you are diving in this pool, you are ready to be patient, learn from mistakes and failures, correct them and create the results that the business is expecting out from you as a digital marketer. Mr. Kushal Raja completed his Digital marketing training from Delhi School of Internet Marketing in April 2016.